Home to an eclectic band of pseudo-journalistic couch potatoes & team Search Truth Quest: paranormal researchers determined to search for the truth in quest form. 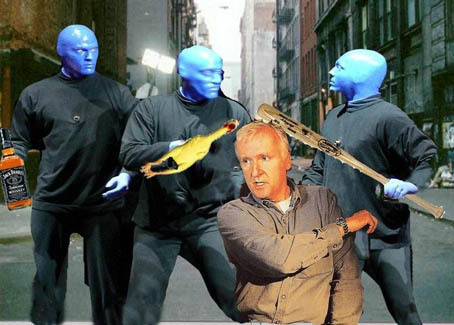 Director James Cameron reported a violent personal attack on Friday. He identified his assailants as the Vegas showmen known as the Blue Man Group. “They didn’t say a word,” said Cameron, “But the assault was well choreographed.” Cameron told police he had written the Blue Man Group a letter, in which he apologized about not casting them in his recent film Avatar. Unappeased, the performers accused Cameron of copyright infringement. Their chief complaint involved the director’s choice to cast blue ‘imposters’ in the movie. Things escalated for the director in early November after the grisly discovery of a severed Mountain Banshee head in his bed. 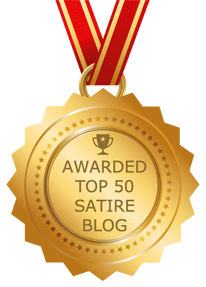 After last week’s assault, which witnesses describe as “entertaining, ambitious, and exhilarating,” Cameron sustained injuries to his clothing and parts of his ego. Papa Smurf, or what’s left of him, was unavailable for comment. Do you want to write for the discord?